Campus Recreation offers a variety of on-campus jobs to enhance your learning experience at Saint Mary's College. 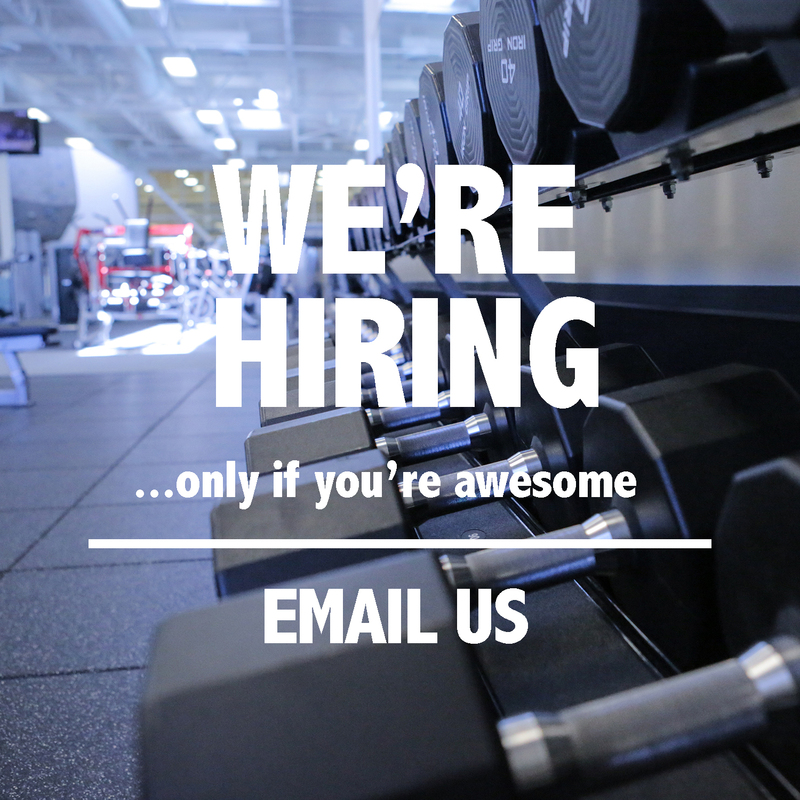 Click here to find out more information about jobs with Campus Recreation. Recreation Facility Supervisor - The Recreation Facility Supervisor supports the Director and Assistant Director of Recreation Operations by overseeing the day-to-day operations, events and staff of the Joseph L. Alioto Recreation Center. This includes but is not limited to reporting any issues that arise, enforcing basic expectations, creating awareness of accountability and supporting staff in enforcing policies and procedure. Recreation Service Assistant - The Recreation Service Assistant supports the Director and Assistant Director of Recreation Operations by assisting with day-to-day operations of the facility including but not limited to; Providing quality customer service to all members, cleaning and maintaining all fitness equipment as well as assisting with climbing wall operations. Fitness Leader - The Student Fitness Leader guides group fitness exercises in a positive, safe and organized manner. Through group fitness activities, Student Fitness Leaders will promote the Campus Recreation and Joseph L. Alioto facility usage. Lifeguard- The Lifeguard supports the Assistant Director of Recreation Fitness for Aquatics by taking preventative actions to prevent Aquatic Emergencies from occurring and by acting immediately and appropriately to secure the safety of the facility’s members in the event of an emergency. This includes but is not limited to taking preventative actions to avoid Aquatic Emergencies by enforcing all facility policies and maintaining a safe environment, maintaining constant surveillance of members in the Aquatic Area, acting immediately and appropriately to secure the safety of members in the event of an emergency and providing emergency care and treatment as required by law until the arrival of Emergency Medical Services. Intramural Supervisor- The Recreation Intramural Supervisor supports the Director of Recreation Programs by overseeing the day-to-day operations, events and staff of the Joseph L. Alioto Recreation Center Intramural Department. This includes but is not limited to reporting any issues that arise, enforcing basic expectations, resolving any disputes/arguments and act as a mediator between all intramural teams. Intramural Official/ Scorekeeper- Within the department of Campus Recreation, Intramural Sports Officials/Scorekeepers are responsible for assisting in the production of an inclusive intramural sports program which may include field setup/take down, marketing, officiating league sports and tournaments, scorekeeping and/or special events. Graphic Designer- The Graphic Designer supports the Director and Assistant Director of Recreation Operations by envisioning and creating marketing material for all recreation departments in both traditional and nontraditional forms of marketing. This includes but is not limited to developing marketing material to be displayed around campus or on social media and meeting with departments to establish a vision for the design. Photographer- The Photographer supports the Director and Assistant Director of Recreation Operations by documenting in photographic form all events related to Campus Recreation and the Joseph L. Alioto Recreation Center. This includes but is not limited to taking promotional pictures to market upcoming events, editing photos using proper editing software and sharing photos on Social Media and websites. Club Sport Operations: The Club Sport Operations team supports the game day management.